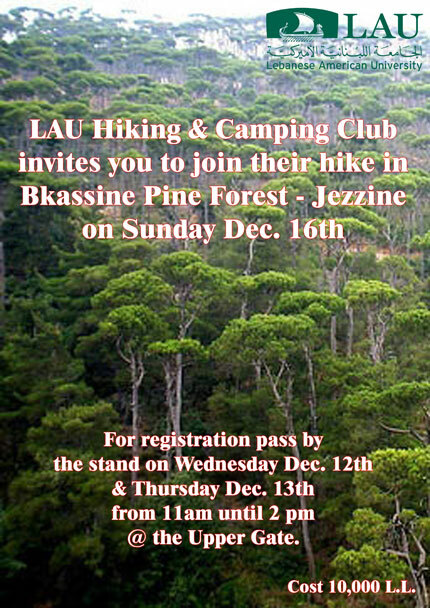 The Hiking and Camping Club at LAU is organizing a hike in Bkassine Pine Forest, Jezzine. For registration pass by our stand at the Upper Gate on December 12 and 13 between 11 a.m. and 2 p.m. The trip costs L.L. 10,000.